*We suggest using some of RobertS Liardon’s book (God's Generals) resources and website materials. http://robertsliardon.org/ministries as well as other Internet resources. 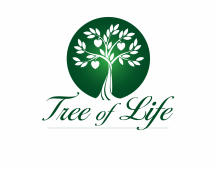 TREE OF LIFE IS COMMITTED TO EQUAL OPPORTUNITY IN EDUCATION AND EMPLOYMENT.